One of the main attractions of going on a cruise trip for me is being able to enjoy all the luxuries of holidaying on the ship. There are so many treats, activities to take part in and lots of fun to be had onboard one of these huge vessels, so I’ve put together a list of a few of the best things you can expect on a cruise holiday. Some cruise liners, such as Cunard, have theatres on their ships, meaning you can enjoy a theatrical or musical performance in the evenings. The bill is likely to change throughout your trip, offering you the chance to see opera, dance or drama productions during. If the theatre isn’t really your thing or you’re coming away with kids, you can go to the cinema instead. Every night a selection of films is shown, so you can choose a movie that interests the whole family (although, in my experience, this is not often easy!). If you think that going on holiday means you have to be away from your creature comforts, think again, as one thing that is onboard a lot of ships is a pub (yes, this is a creature comfort for many people I know!). Sit down for the evening in a traditional-looking English pub, enjoy a cool drink and join a quiz team or have a go at karaoke. Although I do enjoy nights in the pub, I prefer going to top restaurants, and there are plenty to choose from on cruise ships. You’ll typically find a variety of eateries, which means you can dine at different establishments throughout your trip so you don’t get bored of the same setting and menu, and you can have both informal meals (such as at lunchtime) and more special dining occasions during the evening. I’d definitely love the chance to put on my finery and go for a romantic dinner at least once during the holiday. What’s more, if you book a cheap cruise deal with Cunard or other liner, you won’t feel guilty about spending a few extra pounds on a special meal out if the price isn’t included in your deal. 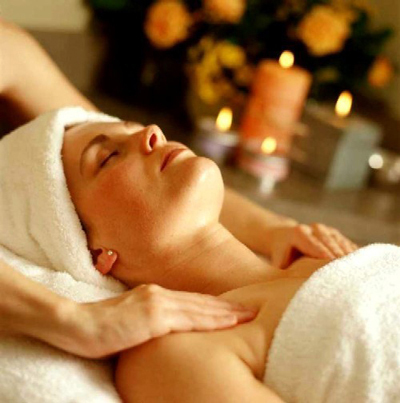 Another way to make you feel pampered during your holiday is by having some spa treatments. I’d be the first in the queue, eager to enjoy a massage, facial or aromatherapy session, letting all the stresses and strains of daily life melt away. Something that will certainly help you relax is letting your children join kids’ clubs, as this gives them the chance to make friends with other youngsters while you can spend some time alone with your partner – everyone’s a winner! One feature the whole family can enjoy on a cruise is its sports facilities. Most ships are very well equipped for different activities, so whether you want to use a golf simulator, play a game of boules or tennis, go swimming or hit the gym, you’re more than likely to be able to. Burning some energy for an hour a day will certainly make me feel less guilty when tucking into the delicious restaurant food later on. There are so many things to do aboard the ship, I’d probably almost forget to go sightseeing when it reaches each port!